When an art piece is observed, regardless of its form, what’s expected of it is to stir the emotions and senses in a way that hasn’t been felt before. A single element might resonate with some yet be mundane to others, but if the piece allows the viewer to complete it with his or her own interpretation and thought, it is bound to absorb any mind. The American artist Meghan Howland does just that: her vivid depictions of familiar people each tells a thousand stories, for it differs for every person viewing it. Leaving it up to the viewer to decide the background and the future of her characters, Howland communicates without speaking or explaining. Working with oil on canvas, Meghan Howland tends to depict people that surround her daily and she does it with great technical skill even though she’s young. Her paintings would be nothing short of a skillful portrait if it weren’t for the reoccurring elements of birds and flowers that inhabit the pieces. Sometimes overwhelming, imagery other than the subject can give out various feelings from picture to picture, as they balance from safety to sinister in her extensive oeuvre. In some cases, characters tend to be overtaken by the vastness of other subjects, and even then, the narrative is open to interpretation, demonstrating the talent of the artist. Howland showed the desire for artistic expression at a very young age. Born in 1985, she would make simple creations even as a child, discovering her personal artistic path through high school and college. It created the truly unique artist that she is today, one that merges the traditional themes and contemporary elements in her work. It adds to the complexity of each of her pieces, complementing her way of storytelling as the viewer contemplates on more than just the narrative. 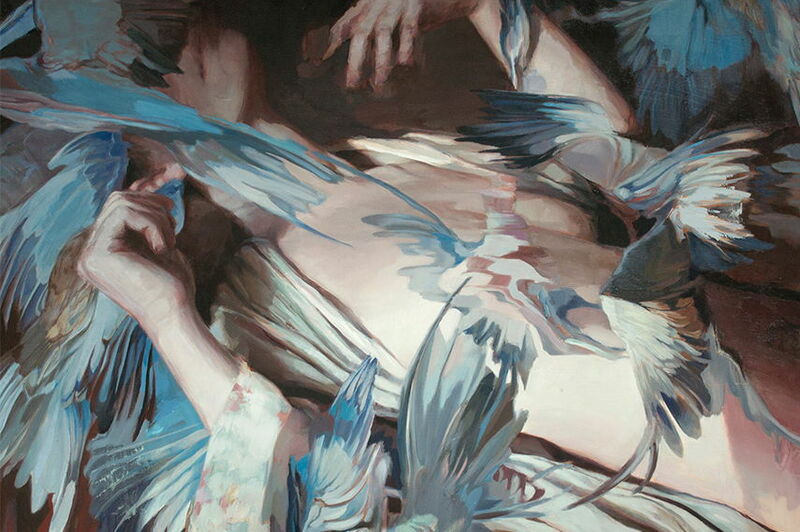 Her technique adds yet another layer to her works and it leaves the viewer in command of telling the story behind the stunning portrayals of Meghan Howland. Regardless of how deep your imagination is, there’s something gripping and remarkable about Howland’s paintings that cannot escape the eye. Both calming and unnerving at the same time, her thought-provoking imagery could soothe you or upset you, but never will it leave you indifferent. 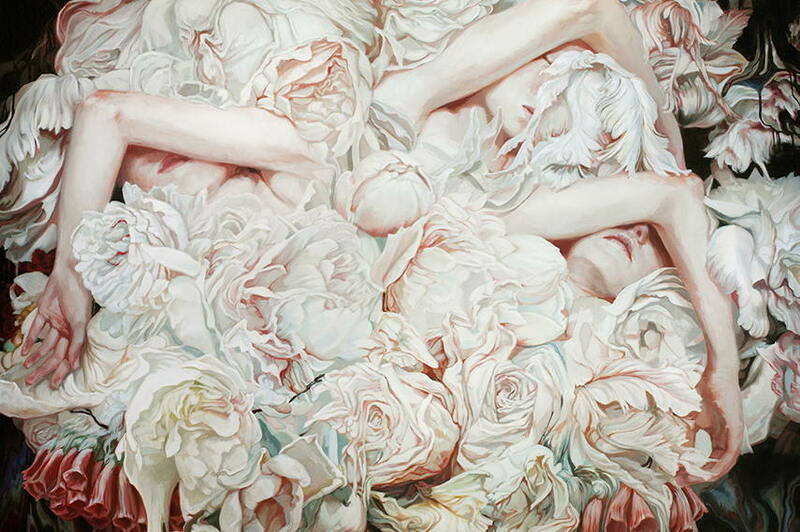 With great technical skill and an unending narrative contained within a single piece, the work of Meghan Howland is, in one word – art. The artist is represented by Abend Gallery. 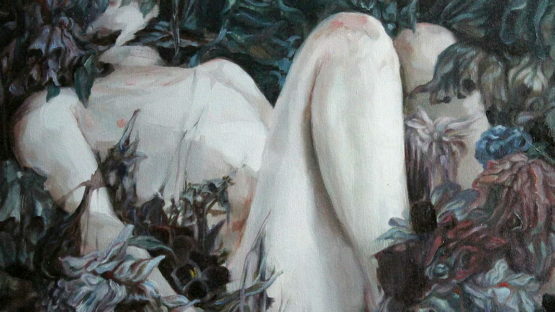 Meghan Howland lives and works in Portland. 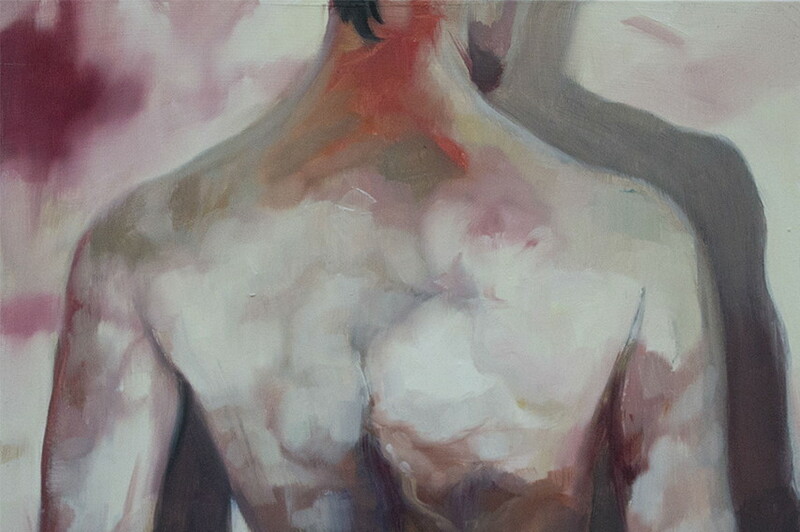 Featured image: Meghan Howland – Gardener (detail), 2013. All photos credit the artist and Abend Gallery.